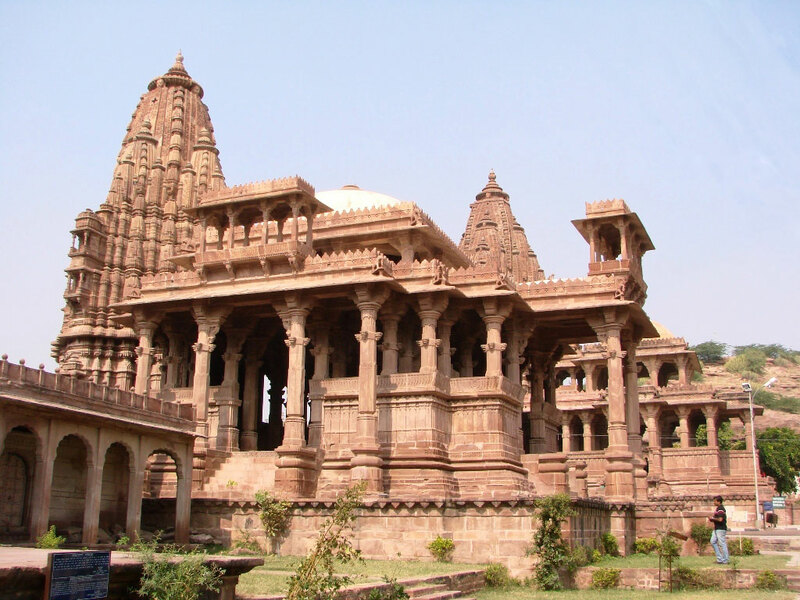 Mandore Day Tour is starting from Jodhpur where you will see the Mandore Garden, Umaid Bhawan Palace, Kaylana Lake, Santoshi Mata Temple. The Duration of this tour is approx 8 to 9 hours and distance may be approx 70 to 80 KM. Mandore Day Tour Start from Jodhpur. Tour starts 9: 00 AM and comes back to Jodhpur office on 5:00 PM we start our tour From Jodhpur Fort. Mandore Garden. Mandore Gardens in the north of Jodhpur is a very beautiful garden is a must-see location for tourists when they are in Jodhpur Umaid Bhawan Palace. Kaylana Lake is located 8 km west of Jodhpur in Rajasthan, India. It is an artificial lake, built by Pratap Singh in 1872. The lake spreads over an area of 84 km. In ancient times this region had palaces and gardens made by two rulers of Jodhpur - Bhim Singh and Takhat Singh. These were destroyed to make Kaylana Lake. In India, Goddess is worshiped to show devotion. Once upon a time, Goddess was worshiped to gain power, because in those days physical strength was required. But in today’s physical world a person needs to be content & satisfied therefore they worship Santoshi Mata. Father of Santoshi Mata is Lord Ganesha. In north direction of the historic city of Rajasthan (India), Jodhpur (Marwar), there is a very old and famous lake, which is surrounded by mountains and is named as Lal Sagar Lake. Mandore Day Tour Finished at Jaswant Thada and Drive back for Jodhpur city and Drop at Hotel and Airport. Jodhpur Taxi Service provides best Taxi Services in Jodhpur with easy and affordable price. we also provide Cab Service or Online Taxi Booking Service easy and fast way.